Having gone through school, you probably know deserts as geographical areas that get rainfall that is 10 inches and even lower each and every year. Africa, the second largest continent in the world has a lot of lands covered by desert. It is estimated that over 25% of African land is covered by deserts. Given the little amount of rainfall that deserts receive, you would expect to find no one living in these areas. However, despite the harsh climatic and dangerous living conditions, the African deserts are not without life. Many years of adaptation to the harsh climate have made it possible for plants and even animals to survive in the harsh environments. That said, let us have a look at the 10 largest African deserts. This is probably the most popular dessert in the whole world. 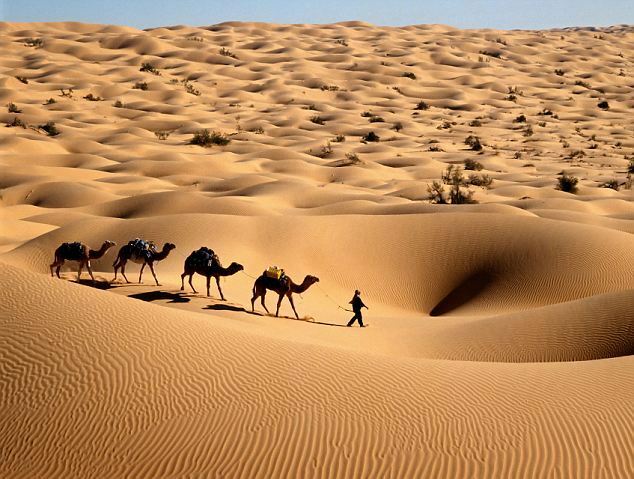 It is not only the largest Africa desert but also the largest desert in the world occupying 3.3 million sq. miles and still growing larger. It extends over 25% of the continent and occupies many countries including Chad, Algeria, Sudan, Niger, Morocco, Mali, Libya, Egypt, Mauritania, and Tunisia. Its landscape includes salt flats, dry valleys, sand dunes as well as mountains. Even before the desert featured in the movie, “The Gods Must Be Crazy”, it had already created a name for itself. The movie only gave insight into the lives and the culture of the Botswana nomadic people, hunters and gatherers, who live in the region. The Kalahari is 362,500 sq. miles in size and its arid and hostile climate not only affects Botswana but also South Africa and Namibia. 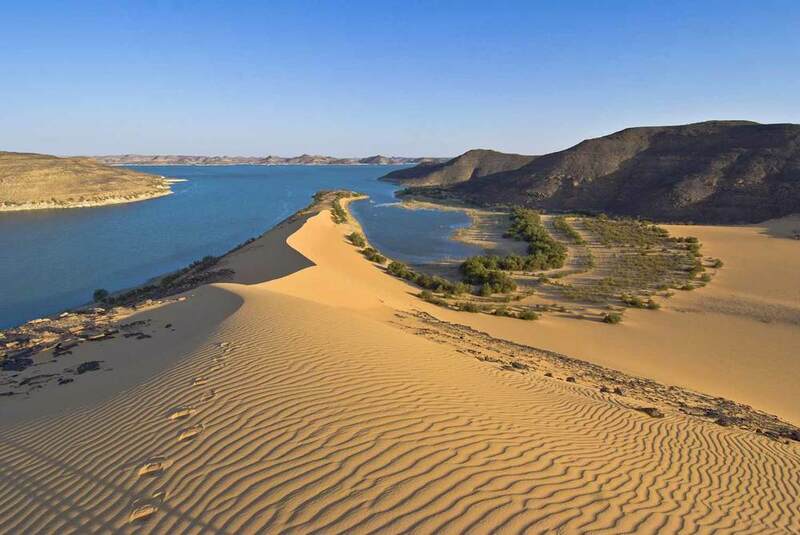 This is a coastal desert found in the southern part of Africa. Its name means vast place. The desert stretches for over 2000 kilometers along the coast of Namibia, Angola, and South Africa. It is the oldest desert in the world. Its life is dated back 55million years ago. It consists of gravel plains, scattered mountains and sand seas at the coast.Although the desert is, for the most part, barren and does not have any vegetation, you can find succulent plants and lichens along the coast. 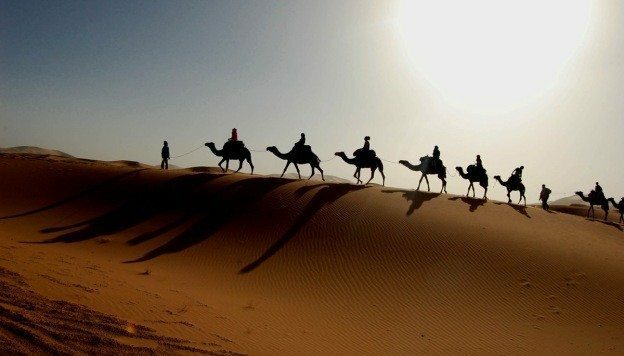 It is located in the eastern part of the Sahara desert and occupies about 400,000km2 of land to the north of Sudan and between the Red Sea and the Nile. It is, for the most part, a sandstone plateau and has no oasis whatsoever. Its traditional inhabitants are the Nubians. It is known for turtles crossing its path. The Libyan Desert covers an approximate area of 1,100,000km2 and has the shape similar to that of a rectangle. Like the Sahara desert, it has a stony plain, sand, and Hamada. It has no rivers draining into and out of it. It is a semi-desert located in South Africa. It has two subsections, the Great Karoo located in the north and the Little Karoo located to the south. The Succulent Karoo is located to the west and experiences winter rainfall as it is close to the coast of the Atlantic.It covers an area of 400,000sq. Kilometers and is full of igneous and sedimentary rocks. The Blue Desert is a small area, part of the Sinai desert close to the Red Sea resort of Dahab where several blue colored rocks are found. The art was created back in the year 1980 following a peace treaty between Israel and Egypt. Formerly known as the Spanish Sahara, Western Sahara covers an area of 102,700square miles and is, for the most part barren. The only inhabitants of this region are the Berbers and the Arabs who are accustomed to the harsh conditions that prevail in the region. In this region, there are phosphate deposits to be found to the north. It is located in the northern central part of Africa and is part of the Sahara. This desert occupies more than four-fifths of Algeria and has lots of sand dunes just like the Sahara desert. To the south-west part of the desert, there are mountain ranges known as the Tassuli n’Ajjer. Given that it is a range of mountains, it is expected that part of it has green vegetation. However, the side that is exposed to the Saharan winds is barren. The Atlas Mountain has a height of 4,165 m (this being its highest peak).